Combine the oats with water in a saucepan. Bring to the boil and cook the oats, stirring, for a few minutes or until the porridge thickens. Reduce heat and simmer gently for 10 minutes or until the oats are thick. Spoon porridge into a bowl and top with grated apple, cinnamon, almonds and blueberries. 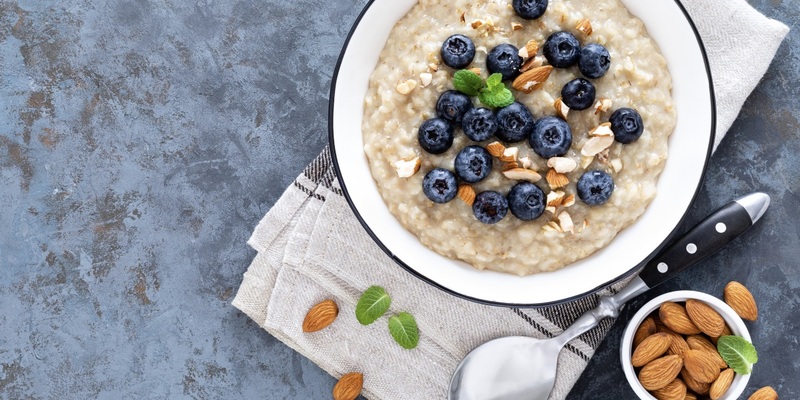 Mix IsoWhey® French Vanilla into the low-fat milk and pour over the porridge.